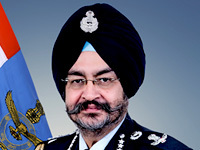 In his most recent interview, exclusively to SP’s Aviation’s Vishal Thapar, Air Chief Marshal B.S. 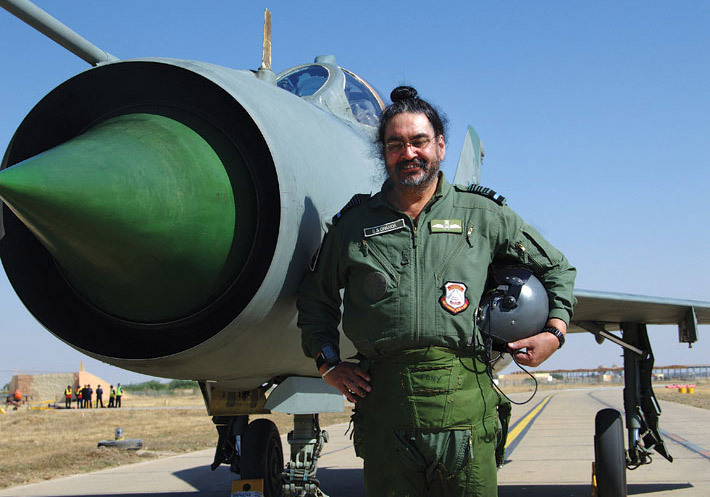 Dhanoa, Chief of the Air Staff, provides a peek into the capability the IAF immediately needs. For the first time, India’s Air Chief discloses details about the Tapas and Ghatak UCAV programmes. The interview was conducted ahead of the recently-held Aero India 2019, but his comments assume added significance in view of the ongoing face-off with Pakistan, which have put India’s airborne military capabilities under the spotlight. Vishal Thapar (Thapar): Is India’s military modernization agenda getting adequately funded? What steps has India’s military leadership taken to get this issue addressed? 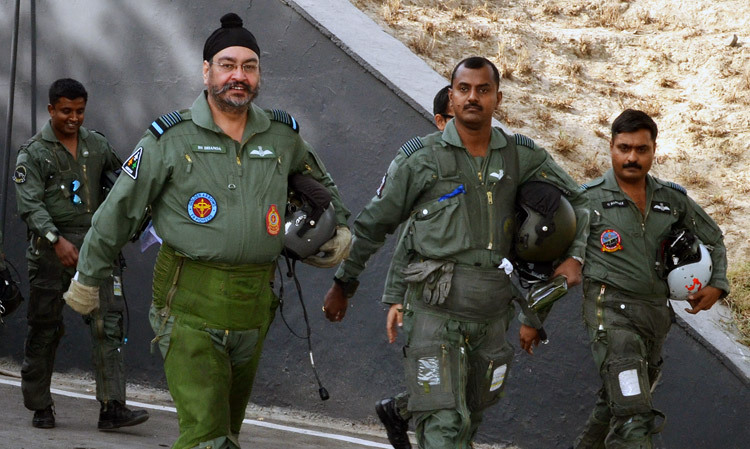 Chief of the Air Staff (CAS):	There has been a shortfall in the Budget Estimate 2018-19 for modernisation of IAF. The MoD has been appraised of the shortfall and will be addressing the issue. Thapar:	With the IAF squadron strength depleting, and in a procurement environment defined by delay and political contest, what is the vision for building up the fighter fleet to the desired numbers? CAS:	The issue of drawdown in the strength of the fighter squadron in the IAF is being given due emphasis. To meet the requirement of fighter aircraft of IAF, induction of the balance of Su-30 MKI aircraft from HAL is under process and will be completed by 2020. Induction of LCA into the IAF has commenced. Induction of Rafale aircraft will commence from Sep 2019. Additionally a case for procurement of LCA Mk1A is under progress for which the RFP was issued in Dec 2017. Further, a RFI has been issued for Multi Role Fighter Aircraft under ‘Strategic Partnership’ Model. IAF has placed a Minimum Order Quantity (MOQ) (on) TAPAS BH-201 (earlier called Rustom-II) which is likely to be developed by August 2020. Once the mass production of TAPAS BH-201 starts, it will be inducted in the IAF in next 3-4 years. IAF is also exploring the possibility of procuring RPAs through Buy & Make (Indian-IDDM) routes. It is expected that in another four years, new RPAs will be inducted to meet the operational requirement of IAF. Thapar:	What are the biggest priorities for the selection of India’s new fighter, the RFI for which has been issued in 2018? Will the selection goalposts for the new fighter be different from the MMRCA’s? CAS:	A large number of the new fighter would be made in India by a Strategic Partner. Indian Production Agency (IPA) would be recipient of the extensive transfer of technology from the foreign OEM to enable production of fighter aircraft in the country. The procurement will be progressed as per the guidelines of the DPP-2016 Chapter VII. The process would have a set of requirements reflecting current needs of the IAF. Thapar:	What are the India’s options for a Fifth Generation Fighter? CAS:	IAF along with DRDO is working towards the indigenous development of a fifth generation fighter aircraft program called the Advance Medium Combat Aircraft (AMCA), and IAF is providing active support to DRDO. Thapar:	How do you visualize the future of AMCA? CAS:	IAF along with DRDO is working towards the development of an indigenous fifth generation fighter aircraft program called the AMCA. IAF is providing full support to ADA, DRDO towards this programme. We are actively working together with DRDO on the program. Thapar:	Why didn’t the FGFA / PAK-FA programme lead to its intended outcome? CAS:	The FGFA programme has been on for the last 10 years and Preliminary Design Phase has been completed. The case is presently with the MoD. Thapar:	In the background of continuing delays, does the LCA programme need help? What can be done to salvage the programme? CAS:	LCA is a concurrent design, development and production programme. The deliveries of the LCA in IOC configuration are in progress. Govt of India has approved the ramping of the production rate of LCA from 8 to 16 ac per year. FOC has been planned to be achieved in two phases. IAF is also in the process of placing an order for LCA Mk 1A aircraft. The pace of induction needs to be speeded up, towards which MoD and HAL are taking collective steps. Thapar:	Has the IAF defaulted on its payments to HAL, as alleged? CAS:	The allocations towards committed liabilities towards various vendors have been rationaliseddue to the limited / shortfall in the Budget Estimate of 2018-19. The dues will be paid on additional allocation of funds. Some of the media reports in this regard have been highly exaggerated. Thapar:	Could greater involvement of the IAF in HAL lead to better satisfaction levels with HAL? CAS:	HAL is the sole military aircraft manufacturer in the country and the IAF and other defence services rely heavily on HAL for aircraft and associated equipment. The responsibility of R&D projects lies with DRDO/HAL and IAF has been fully embedded and supporting in major D&D projects and is closely involved in D&D activities, Flight Testing, Technical Expertise and Project Monitoring. However, delayed fructification of R&D projects and operationalization of equipment leads to capability deficit, which affects the full spectrum capability of IAF. Thapar:	What is the status of the Avro replacement programme? CAS:	Contract negotiations are in progress in the Avro Replacement programme. In this programme, 16 aircraft will be delivered in ‘fly away’ and 40 aircraft will be manufactured in India by a private industry. The manufacturing of this aircraft will give impetus to ‘Make in India’ initiative. This is a win-win arrangement for the Private industry and the Services. IAF along with DRDO is working towards the development of an indigenous fifth generation fighter aircraft program called the AMCA. IAF is providing full support to ADA, DRDO towards this programme. We are actively working together with DRDO on the program. Thapar:	Where does the process to acquire mid-air refuellers stand? CAS:	We are moving ahead with procurement of additional six Flight Refuelling Aircraft (FRA). 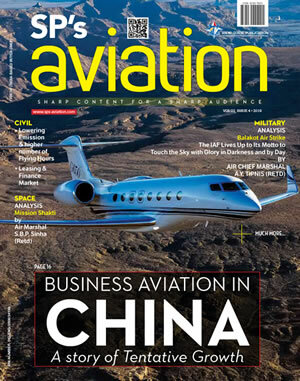 An RFI was issued in Jan 2018 for FRA. At present ORs are being finalised. Case would be progressed further as per the provision of DPP-2016. Thapar:	The IAF made an impressive airlift demonstration to Ladakh recently. What are the future airlift requirements of the IAF? CAS:	The IAF requirements for the future include the replacement of 56 Avro aircraft by C-295 ac. Of these 56 ac, 16 would be delivered in fly away condition and the rest would be manufactured within the country. Six new FRAs are to be inducted in the IAF in the near future. They are to cater to our capability building as the IAF looks after 26 Receiver Squadrons of the IAF and IN presently. Thapar:	The IAF is set to induct iconic helicopters this year - the Apache and the Chinook. Will these aircraft give the IAF helicopter wing its biggest capability upgrade? Where does the helicopter wing go from here? Does the IAF require the Apache and Chinook in larger numbers? 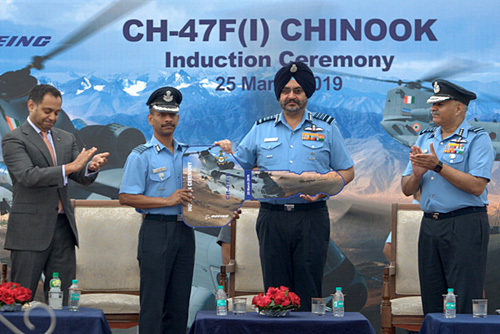 CAS:	The induction of the Apache and Chinook helicopters this year will be a quantum leap for the IAF’s capability to project force and provide heli-lift supplies. Going by the capabilities that these platforms afford and inductions in the recent past this may be termed as one of the biggest capability upgrade. The IAF will aim to assimilate and absorb this technology and operationlise these platforms at the earliest. Force levels in terms of rotorcraft are adequate to meet the current requirements. Present and future requirements are dynamic in nature. Our fleet expansion and capability development plans are continuously evolving. Modernization and diversification plans are in place to meet the challenges of the future. A modern Air Force needs to have several components such as multirole fighters, helicopters, transport aircraft, weapons, missile defences, radars, communications, UAVs, networking, force multipliers as well as training. This is to make the Air Force potent and balanced. The acquisition of new platforms is a continuous process to meet the present and future challenges and to enhance the capability of the IAF. The capability upgrade enables the IAF to handle all operations in an efficient manner. Thapar:	Is the IAF closer to acquiring UCAVs than it was in the past? What is the progress of the indigenous programme? 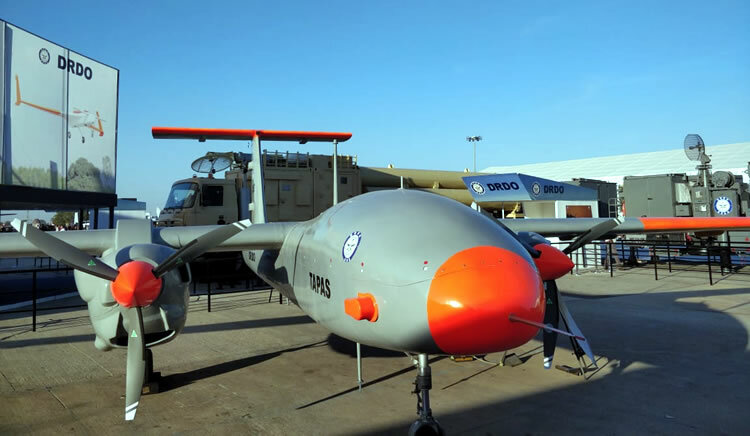 CAS:	IAF is progressing the case of upgrading the existing UAV fleet. Also, the Medium Altitude Low Endurance Remotely Piloted Aircraft (TAPAS, earlier called Rustom-II) is being developed by DRDO. The platform is to be developed as a weaponised platform. Indigenous Unmanned Combat Aerial Vehicle (UCAV)programme, “Ghatak”, with DRDO is at D&D stage and is being developed by ADA. 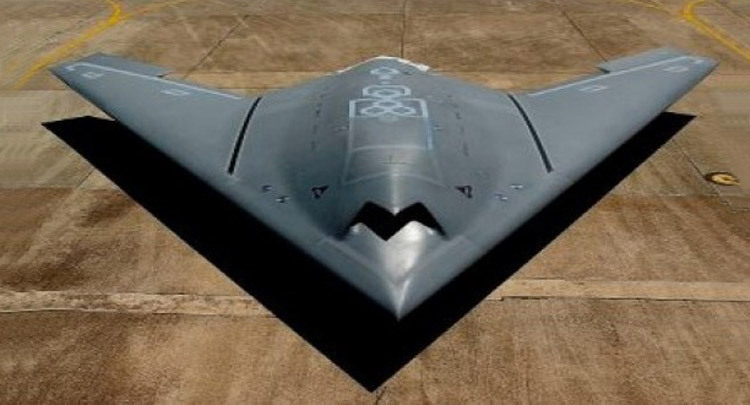 Further, IAF is seeking UAVs with multirole capabilities and is exploring various options. Thapar:	By when can the IAF be expected to move beyond the Searcher-Heron capability for unmanned airborne surveillance? CAS:	IAF has placed a Minimum Order Quantity (MOQ) TAPAS BH-201 (earlier called Rustom-II) which is likely to be developed by August 2020. Once the mass production of TAPAS BH-201 starts, it will be inducted in the IAF in next 3-4 years. IAF is also exploring the possibility of procuring RPAs through Buy & Make (Indian-IDDM) routes. It is expected that in another four years, new RPAs will be inducted to meet the operational requirement of IAF. Thapar:	The signing of the S-400 deal was seen as a bid positive. What are the principal Air Defence priorities, and is the modernization blue print getting reflected in acquisitions? CAS:	Defence of the Indian Air Space and keeping it secure from enemy aerial intrusion is one of the main priorities of the IAF. The procurement of the S-400 system is a major step in that direction. The IAF has prioritized and achieved a credible Air Defence by synergising the integration of sensors, weapon systems, secure communication and real time data transfer. Thapar:	What is the priority for airborne weaponry? Does the IAF have the comfort of adequate war reserves? CAS:	The IAF places priority on long range weapons, for ground attack and in air to air engagements. These weapons need to have additional attributes of precision and ability to operate 24 hours in all weather conditions. The aim being to destroy targets well before they manifest a threat to our aircraft, troops and vital installations. In terms of comfort of availability, the delegation of powers to the Vice chief for ensuring faster procurement process would allow the air force to reach a level of comfort. Thapar: What will be the role of the IAF in the manned space mission, Gaganyaan? CAS: The Human Space Flight Programme is being managed by ISRO. Human Space Flight Centre and Project Director have been appointed. 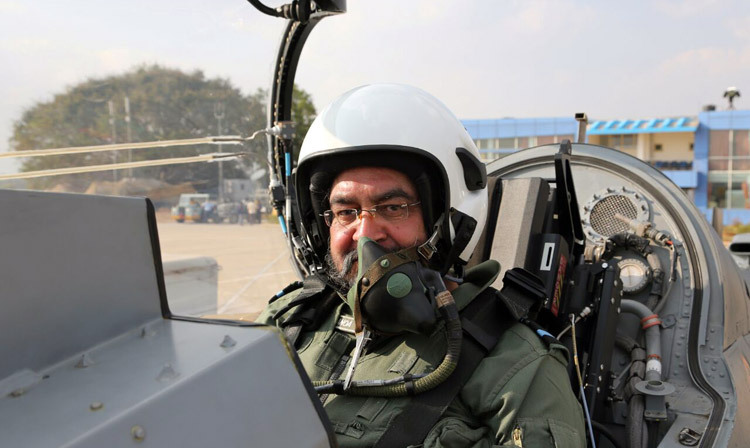 IAF will be closely involved in selection and training of Gagannauts. Thapar:	Do you realistically see bid Defence-Aerospace contracts going to the private sector in the near future? Or does the emergence of the Indian private section in Defence and Aerospace need more political consensus? CAS: There have been several initiatives taken towards self-reliance such as Offsets and policy changes in providing preferential acquisition under Make-II. Building an ecosystem require gestation period. The initiatives towards building a strong private industry are showing visible effects. Indian private players are increasingly partnering with global industry houses. DPP 2016 has laid focus on simplifying the defence procurement to give boost to ‘Make in India’. Make procedure has been given an impetus with revision of procedure in Jan 2018 and the participation of private sector has shown an upward trend. As the Make process gathers critical mass, the bulk of acquisition in future would be through Buy IDDM route and private sector will play a major pivotal role in it. Chapter VII of DPP lays emphasis for development of defence industrial base through ‘Strategic Partnership Route’.